Feb’s Paws on the Patio adoption event (with LA Animal Services) was another great success. We found homes for 3 beautiful pets – 2 dogs and 1 cat. To help celebrate the new adoption, each new adoptee was awarded a $25 gift certificate towards essential supplies at P&P. These gift certificates were donated by one of our customers. A special thanks to our anonymous friend! 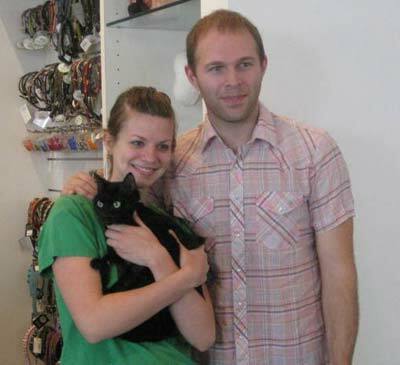 In addition, P&P awards 10% savings on any purchase on the day of the adoption. Just a little something to make the family addition more affordable. There are still some $25 gift certificates remaining, so if adopt next month, you are still in luck! See you next month!